Students have opted to park on streets near the university rather than pay for a parking pass. While over 4,000 students are enrolled in undergraduate programs at St. Edward’s University, approximately 1,578 students live on campus. This means that around 2,478 undergraduate students commute to St. Edward’s. Commuters face one variable on the way to class that students who live on campus do not- traffic. Forbes lists Austin as the eighth-fastest growing city in the US in 2018, with an annual growth rate of 2.57%. The city’s highways can’t seem to keep up with the growing population, and commuters suffer longer commute times in the worsening traffic. Many commuters choose to park off campus and walk rather than pay $250-350 a year for a parking pass. For many students, a parking pass is simply not worth the cost. 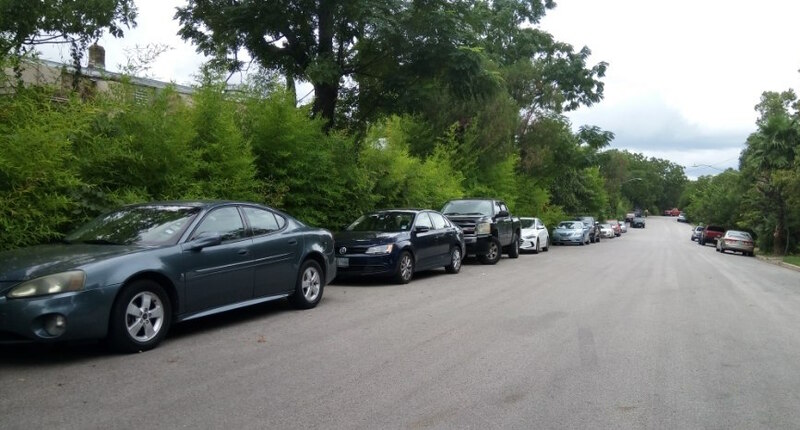 Although the exact number of students who park along the neighboring streets and walk to campus is unknown, student’s cars line both Willow Run and St. Edward’s Drive during the school week- streets where parking without a residential permit is allowed. Although the parking lots and garage on campus are well-lit at night and patrolled by UPD, these off-campus streets are not patrolled or designed for students. Parking off campus also adds time to students’ commute. According to student commuters, traffic in Austin seems to have significantly worsened in recent years. Oran Lopez Reed, a commuter who has parked off campus for three years, agrees with others. Although Lopez Reed’s commute only takes about 10 minutes when traffic is mild, his drive home can take three times as long during the extended rush hour. Lopez Reed’s experience follows a national trend of worsening commute times. Americans commute farther than ever today. Commute times have been on the rise for decades but became exponentially worse starting in 2014. The average American worker’s commute time is now 26 minutes. A 2017 study showed the negative effects of commuting. The study found that long commutes times make workers 33 percent more likely to suffer from depression, 46 percent more likely to get less than seven hours of sleep each night and 21 percent more likely to be obese. While commuters at St. Edward’s are likely to experience these negative effects due to longer commute times, no correlation has been found between academic performance and housing on campus or off campus. Commuters face worsening traffic, but they continue to come to class and keep stride with their on-campus peers. I am Madeleine McIlheran— Writing and Rhetoric major, French minor and intern for Hilltop Views. This is my senior year at St. Edward's University.